I conducted several authentic program evaluations during my master’s study. Through this projects I learned about different human performance improvement models, consultant and client relationships, program management, work breakdown schedule, dealing with resistance, and designing performance solutions. I collected qualitative and quantitative data, analyzed, and developed recommendations for these projects. 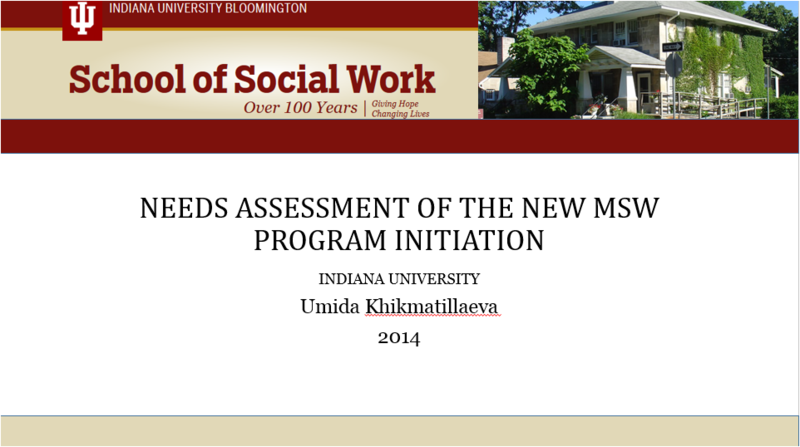 The goal of the Needs Analysis of the new MSW program initiation project was to assist the Indiana School of Social Work (IUSSW) at Bloomington evaluate the need and interest for a graduate program in Social Work. 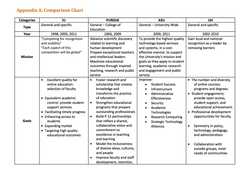 This needs assessment was conducted during the Fall 2014 and used a mixed methods design to achieve a convergence analysis with multiple sources of information. A new MSW program initiation (starting 2016) at IU Bloomington was an outcome of this project. My role in the program: I designed surveys for students, alumni, field agencies and faculty in order to assess interest, concerns, specific recommendations regarding offering the MSW degree at IUB. Focus of the project: Needs assessment, evaluation theory and models, migration strategy, focus group meeting, and surveys. 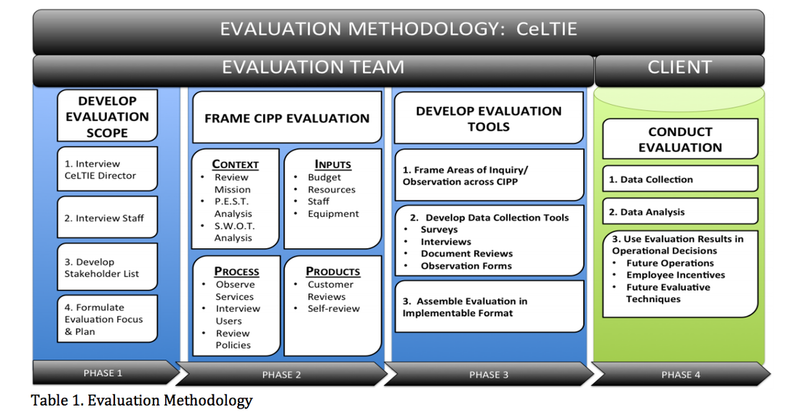 Program Evaluation Plan for the Center for Language Technology and Instructional Enrichment (CeLTIE) provides an evaluation plan to review both the theory behind the CeLTIE mission and goals, as well as the effectiveness of CeLTIE staff, resources, tools and processes in achieving these goals. My role in this project: This project was developed for the R561 course and I was part of the evaluation team. Focus of the project: Performance improvement, evaluation theory and models, and surveys. 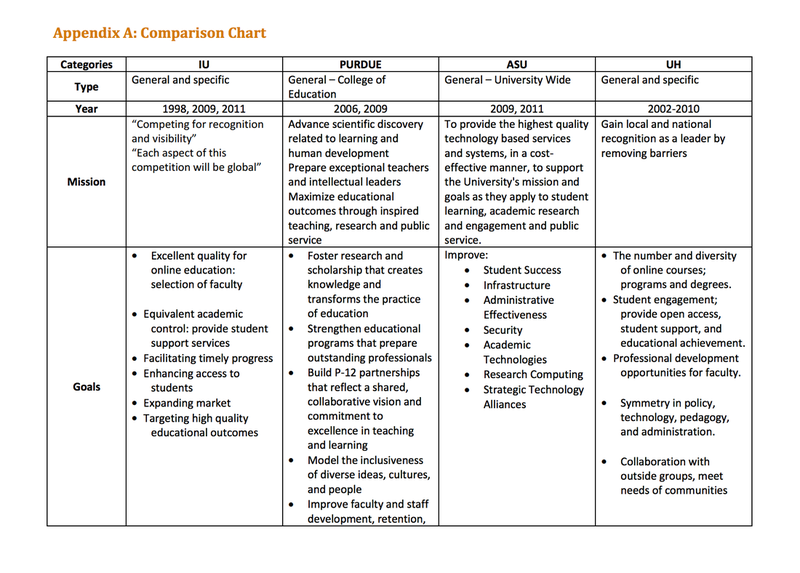 Snapshots of Strategic Plans: A Review and Reflection on Approaches taken for Online Education examines strategic plans for four universities: Purdue University; Arizona State University; Indiana University; and the University of Hawaii's Community Colleges, in the scope of not only their systematic approach but specifically how they addressed online education. My role in this project: This project is the midterm paper for the R685 course and I was part of the team. Focus of the project: Evaluation, surveys, e-learning, assessment, Open Educational Resources (OER), program management, and data collection. 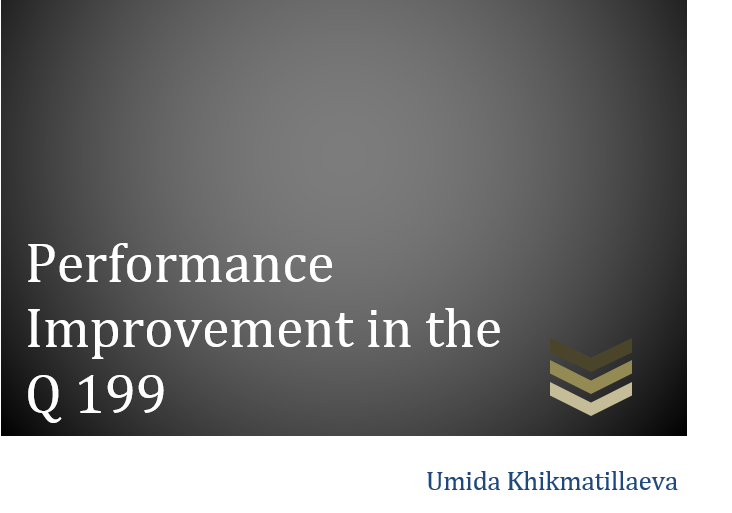 Performance Improvement in the Q199 course was designed to identify performance gaps, analyze its causes, and improve learner performance in the Q199 course. The Global Village is a living-learning residential center at Indiana University and all new residents of the Global Village are required to take the Q199 one credit hour course. This course is taught by peer instructors who are sophomore, junior, or senior students. My role in this project: I was hired (pro-bono basis) to be the consultant to a team of instructors and a new assistant director of the Global Village. Focus of the project: Performance improvement, evaluation, consulting, survey design, problem identification and solution, project management, and syllabus design. Additionally, I conducted UX Design Analysis for non-profit organizations such as American Association of Turkic Teachers and Uzbek-American Association of Chicago for improving their website, and for the Defense Language Institute (DLI) for improving their Uzbek language modules. Additionally, I made a presentation on online language assessment tools at Middle Eastern Studies Association (MESA) conference. I am also familiar with Quality Assurance, Quality Matters, and Accessibility Standards.